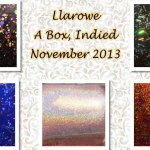 Llarowe A Box Indied for April has been so gorgeous that it sold out in record time for that particular month. I was fortunate to be able to score one…and was fortunate to get back into the the monthly subscription — huzzah!!! As some of you may (or may not know), Mr Carinae and I have moved from California and are now in the gorgeous green state of Washington…so no more California sunshine. I once said I won’t use light boxes, but thanks to days and weeks of constant rain, I’ve found that it is a necessary thing for me. So while I’m going through my adjustment period, I hope you will be patient with me while I get back into the swing of things. 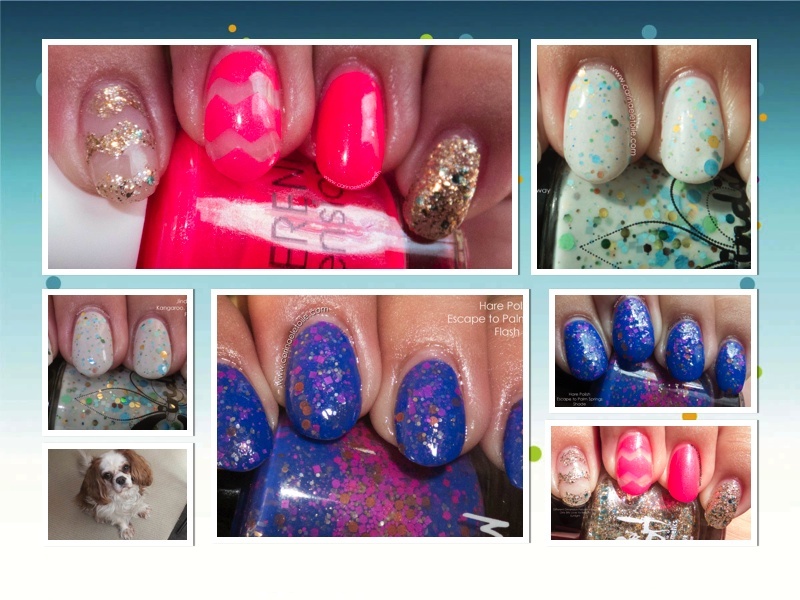 You’ll see different lights here – sunlight, diffused light, natural shade, flash and direct light. That said, on to the pictures! 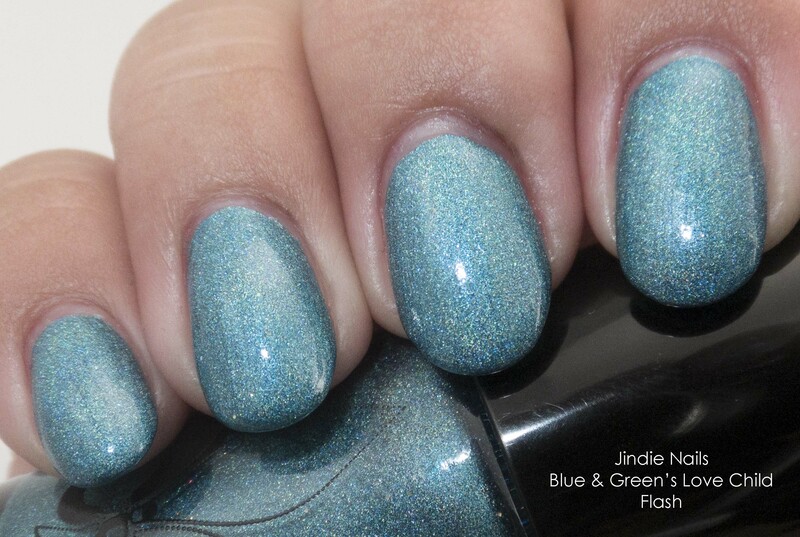 First up is Jindie Nails’ Blue & Green’s Love Child. The formula was like buttah. Glided on effortlessly and was opaque in two thin coats. 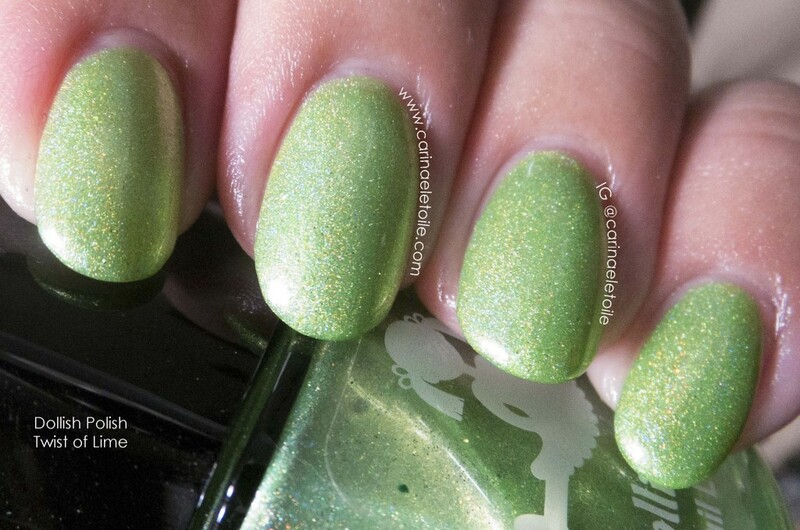 I love this color and it looked really good on me. 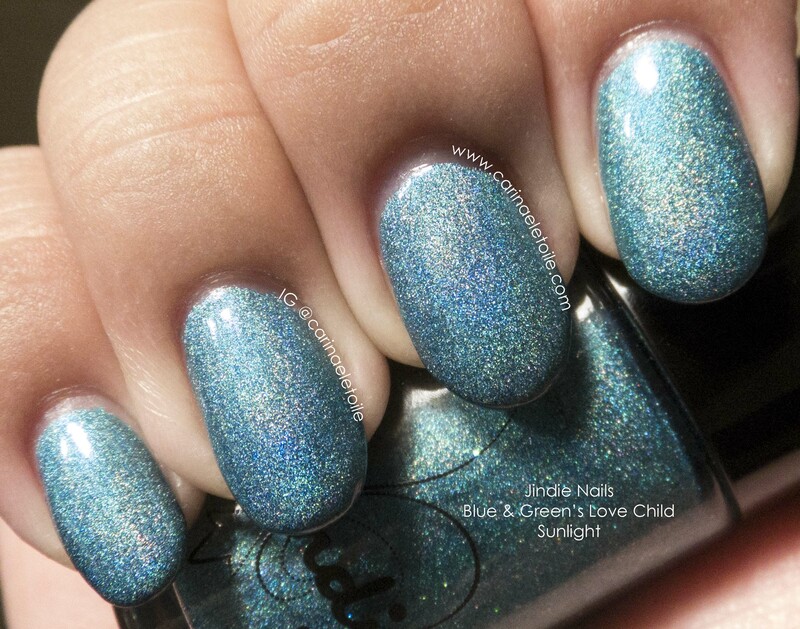 It’s a blue-green holo, which I was trying to coax to come out and play. 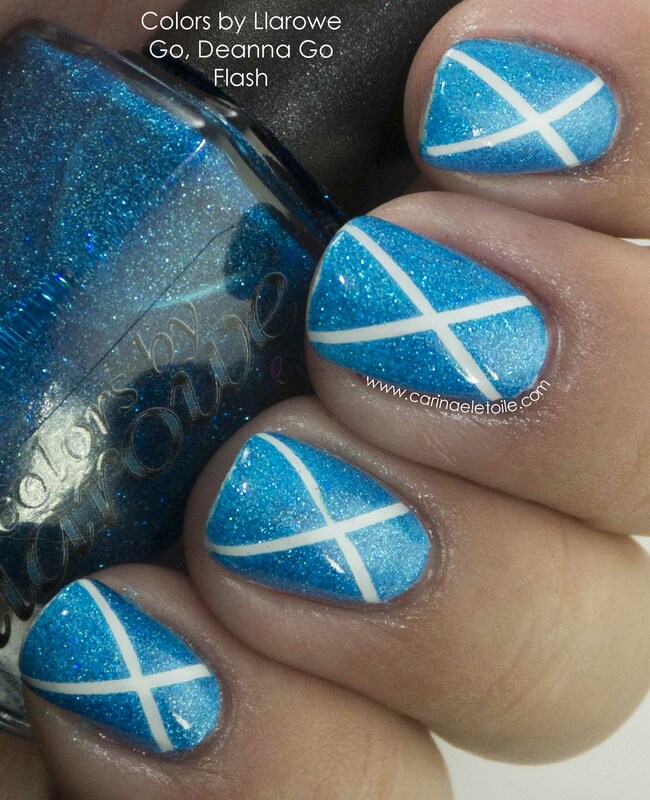 This was a color that was eagerly anticipated in a nail polish group that I’m a part of on Facebook. 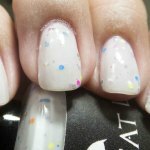 I had seen swatches and couldn’t wait to see it on me…and I was not disappointed. 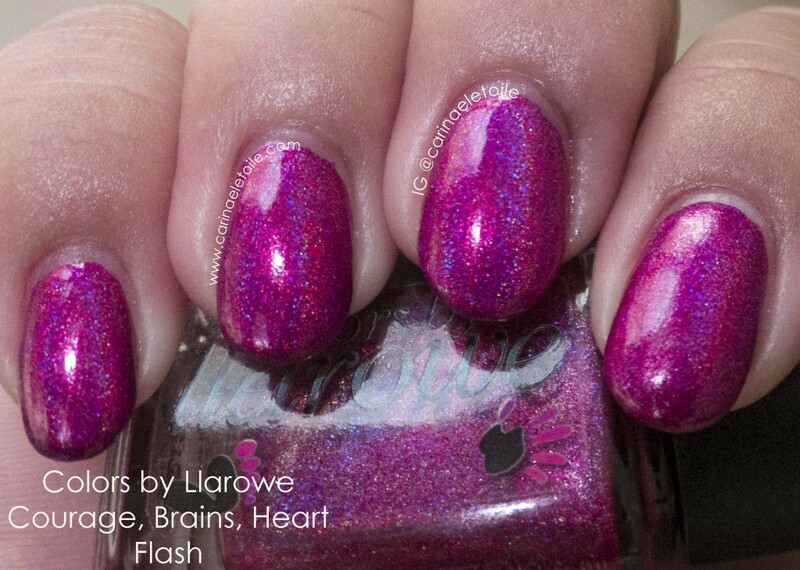 This is a gorgeous magenta with a super strong holo in sunlight. 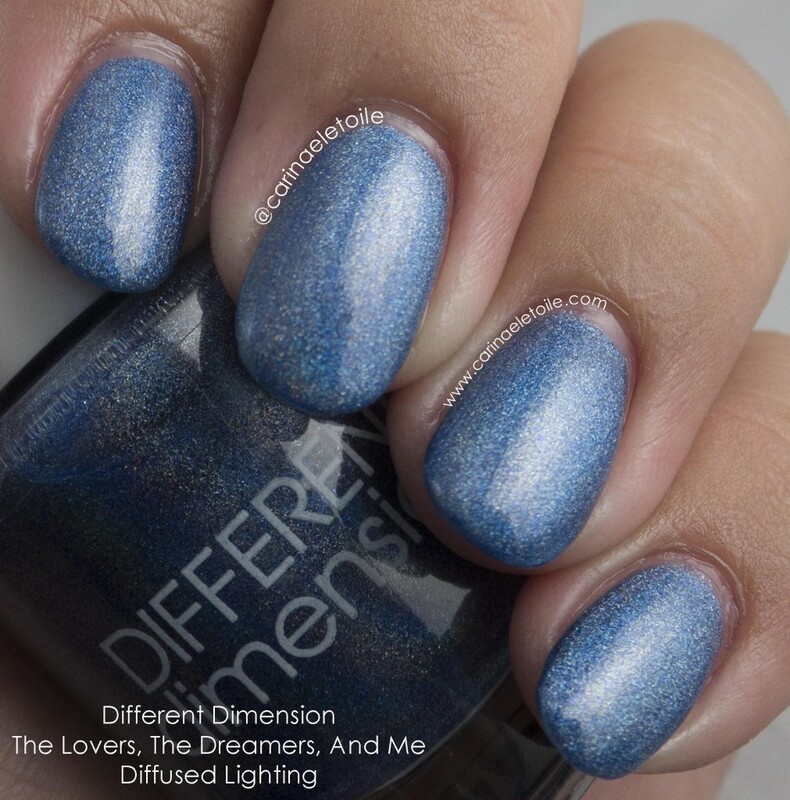 Different Dimension – The Lovers, The Dreamers, And Me is a beautiful periwinkle-corn flower blue, depending on the light. 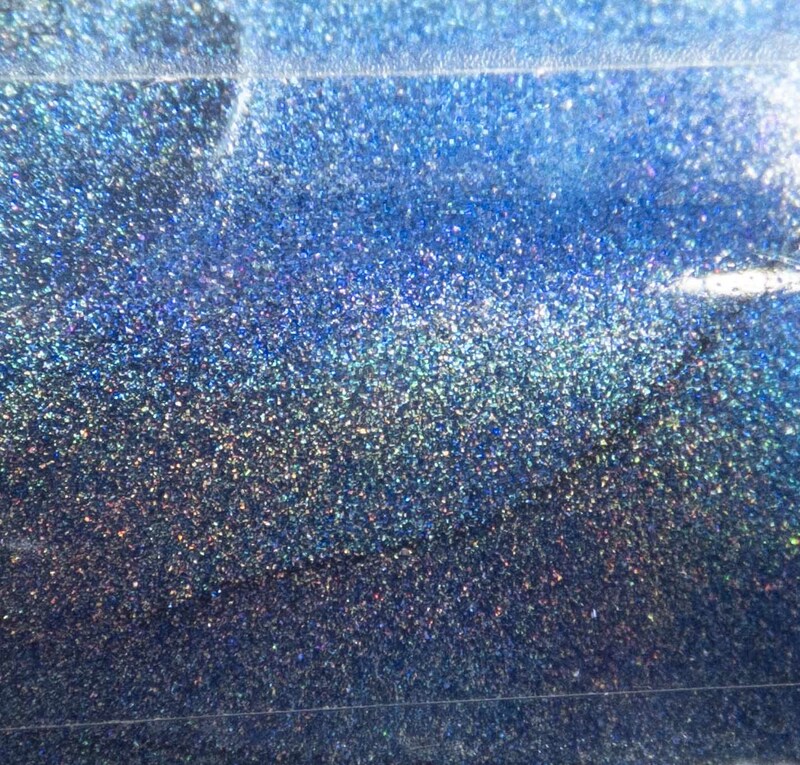 This was my most favorite color out of the box. 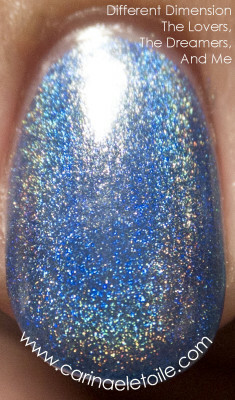 Strong holo and a good application. Below is three thick coats that dried in record time. Come see why I fell in love. 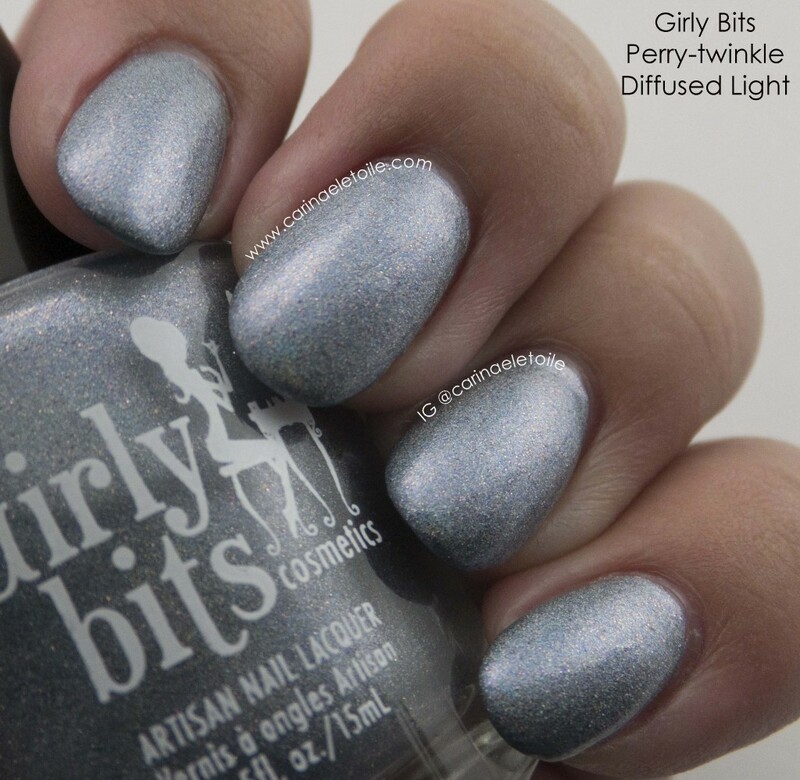 Girly Bits Perry-twinkle is a holographic periwinkle that leans a bit more towards the grey side. 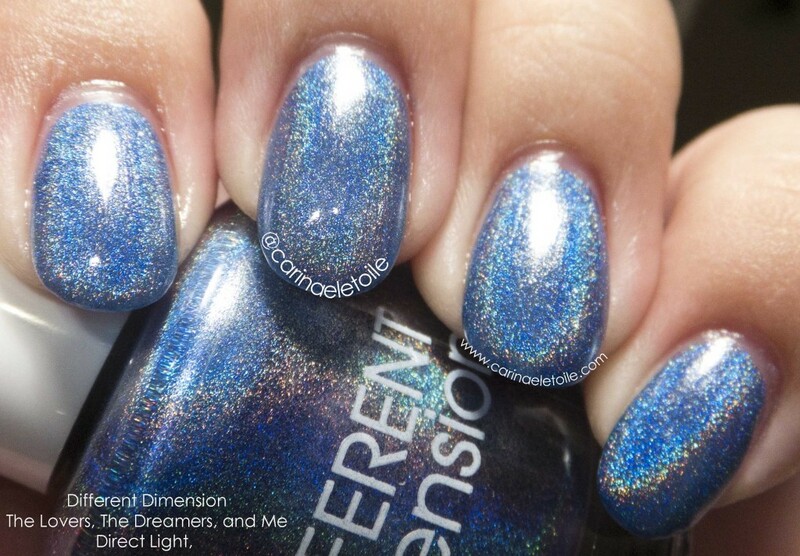 Formula is up the high standards I’ve come to expect from Girly Bits – dries quickly between coats and when it says holographic, it’s holographic. 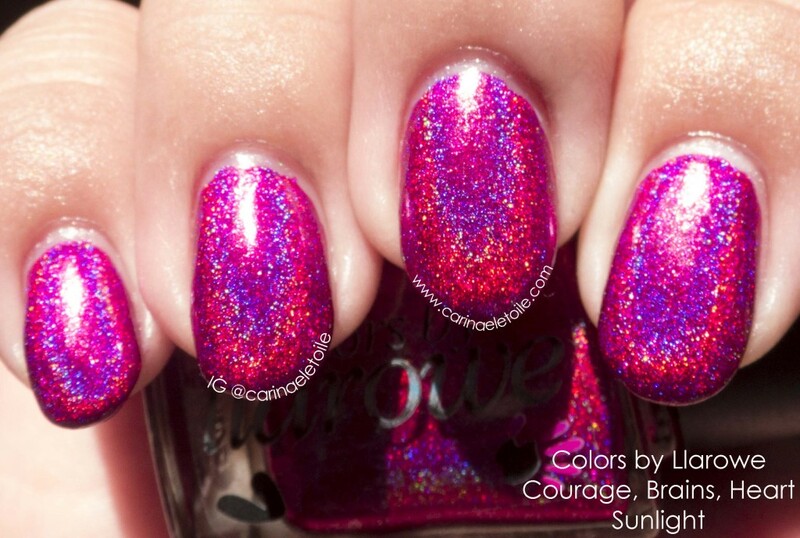 Shown below is two coats. 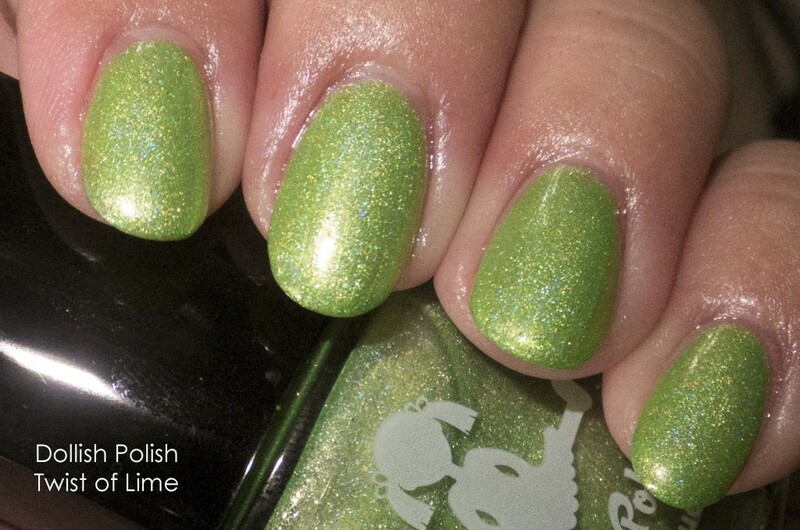 Dollish Polish Twist of Lime is another favorite of mine from Llarowe A Box Indied, April 2014. 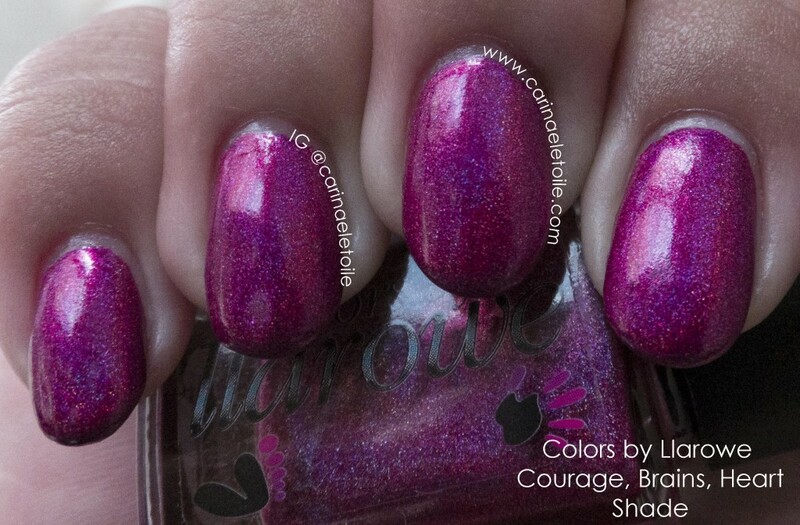 I did three coats because I wanted to see if this would get deeper, darker or richer. 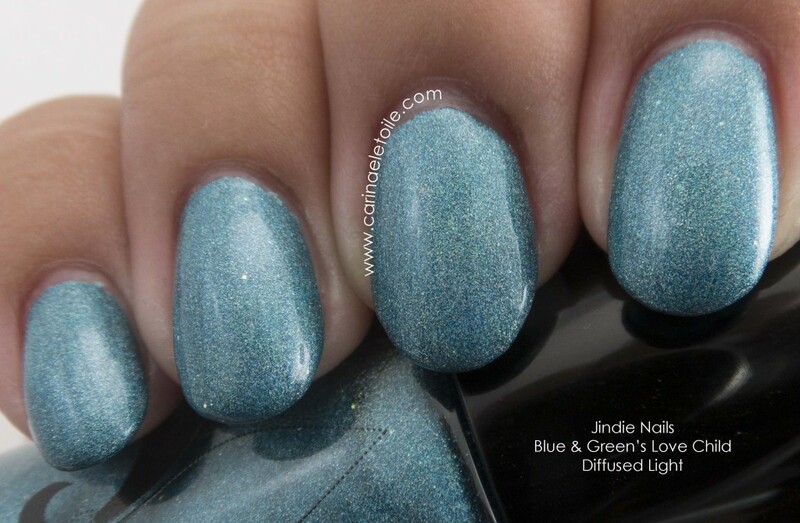 Three coats was perfect because while two were adequate, three made this color a bit darker and more gorgeous. It’s also a holo with subtle flakies and micro glitter. 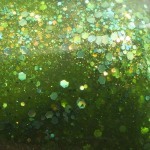 I LOVE this green…I love bright colors in polish and this fits my green love. 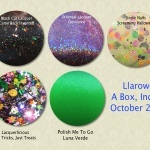 Were you able to grab Llarowe A Box Indied for April 2014? If so, do you like the colors? If not, do you regret not being able to get it? Thanks for making it this far. If you like what you’ve read, please share it – sharing is caring.